As a Financial Planner for more than 10 years, Jim focuses on the financial health of both business and individual clients. In addition to being a Financial Consultant for Synergy Financial, Jim is the Director of Small Business and Tax Services and co-founder of Ellis & Associates, CPA’s P.A. With the belief that integration of financial planning and tax planning is a winning strategy for clients, Jim concentrates his services in the areas of accounting and taxation and financial planning. As a CPA, Jim has extensive expertise and financial services experience with corporations, partnerships, limited liability companies, individuals and business owners. In addition, Jim’s experience includes providing advice on the implementation of business internal accounting controls, proper accounting procedures, tax planning and preparation, and representation before taxing authorities. He also provides personal tax consultation and financial planning for individuals and business owners. Prior to founding his own practice in 1988, Jim held accounting positions with both a national and a large Baltimore public accounting firm. He has been providing services in the areas of auditing, accounting and taxation since 1982. 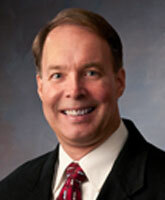 Jim and Anna Fink have been partners in Ellis & Associates since 1988. Jim is married to Gerri, a RN, and has 2 children – James and Nicole. A lifelong Baltimore resident, he and his family currently reside in Kingsville. He is active with St. Joseph’s Catholic Church and School. His wife is a Registered Nurse working at The Johns Hopkins Hospital for over 20 years. Jim enjoys watching and participating in his children’s many activities. His son, James is a second degree black belt as well as being on the Tae Kwon Do Leadership team while his daughter, Nicole, is an avid Cheerleader participating in competitions. A graduate of Loyola College, Jim is a member of the American Institute of Certified Public Accountants and the Maryland Association of Certified Public Accountants.